Following Kevin Griffin’s decision to sell up, the iconic Kev & Ian Marine brand will be under the leadership of Luke Sharp from Outboard Marine Technologies (OMT). 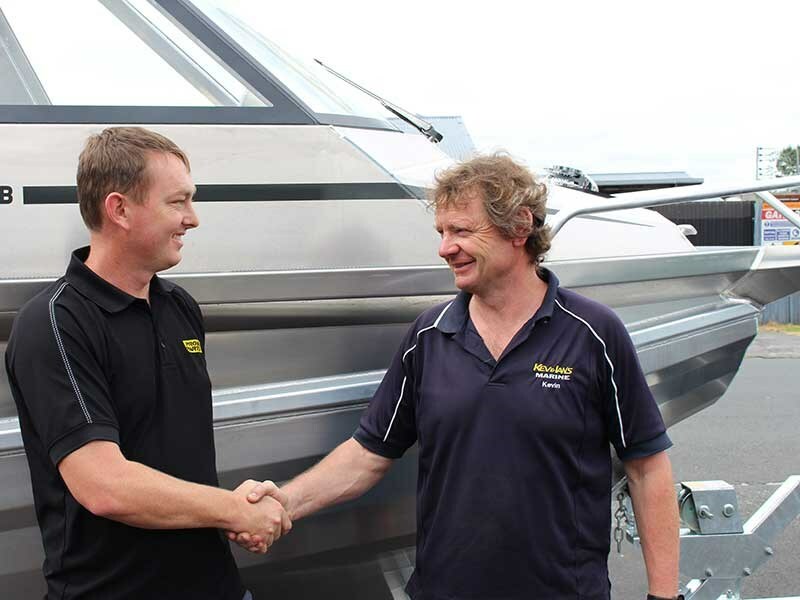 Luke, who was placed in charge of spare parts and the showroom at Kev & Ian’s Marine in 1988—brings a steady hand and effective management style and is set to build on the existing reputation of the company and expand the service offering. Kev & Ian’s Marine will be relocating to new premises in Wiri, which is currently being renovated. They will have a diverse boat yard with all service work being performed by the team at OMT led by service manager Richard Sommerville. Jo Lomax, the current sales and marketing manager, will continue to be the go-to person for all sales-related matters. She will focus on direct sales enquiries and on expanding the new boat offering.